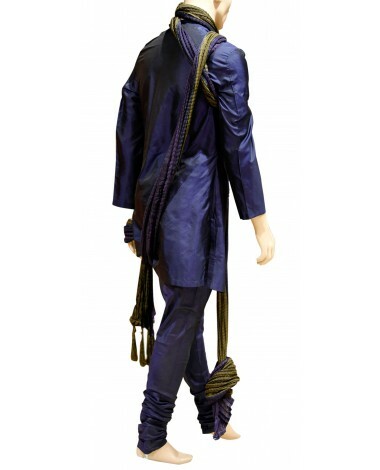 howcasing ceremonial dress with this contemporary art silk kurta in blue. 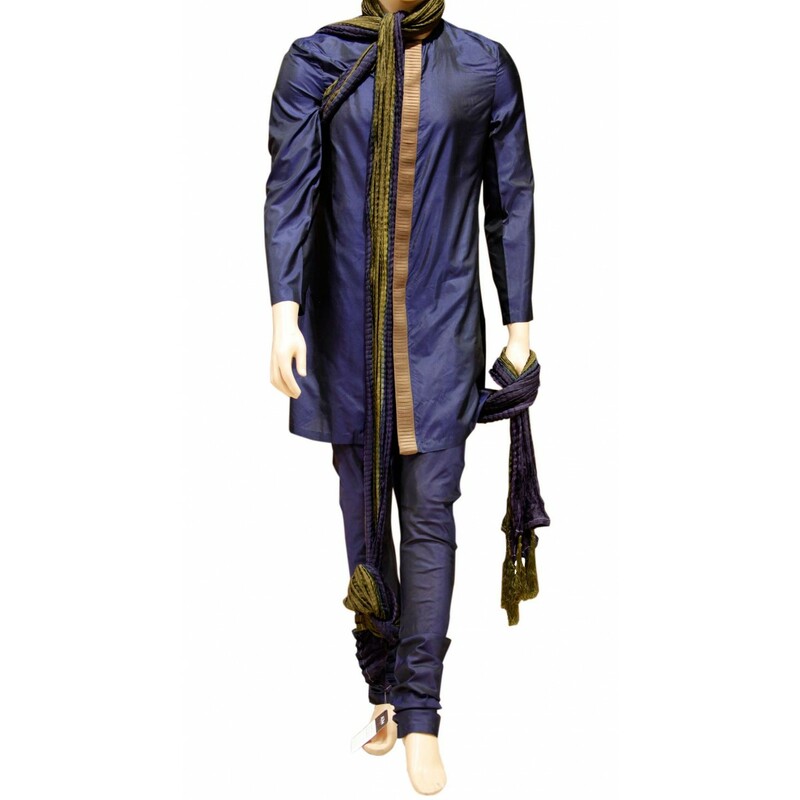 This attire is enhanced with a golden patti like patch at the front end from top to bottom. 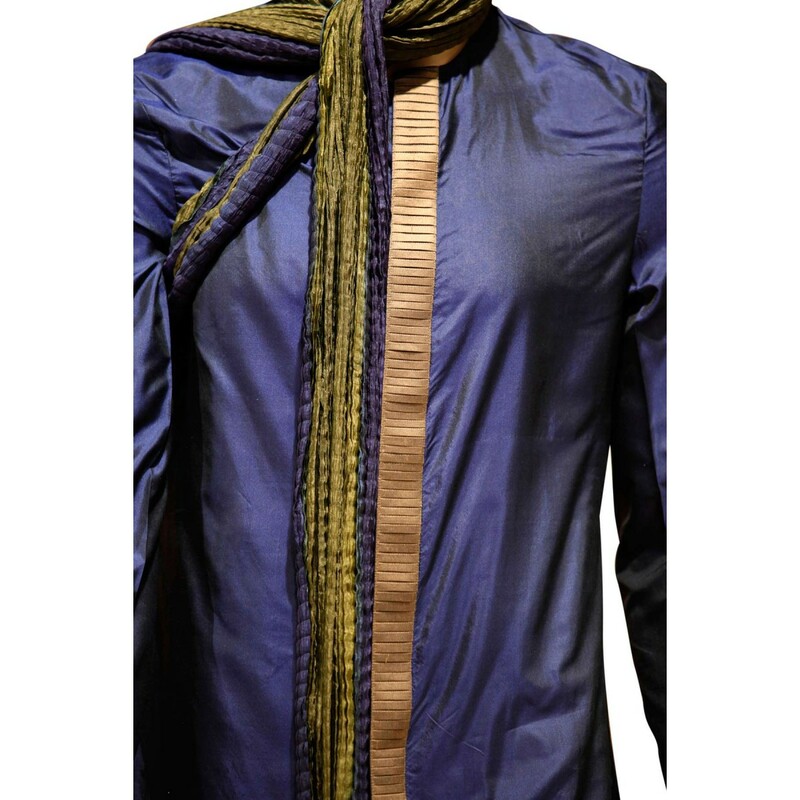 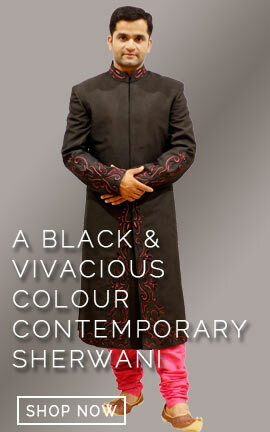 Comes along with an art silk churidar in blue. 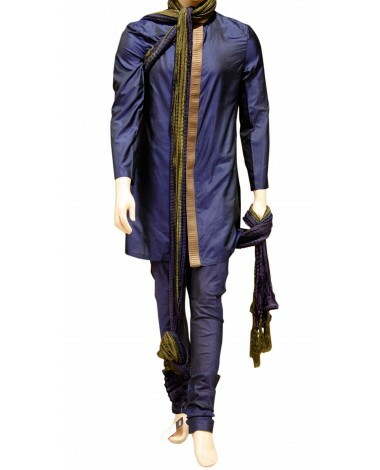 Showcasing ceremonial dress with this contemporary art silk kurta in blue. 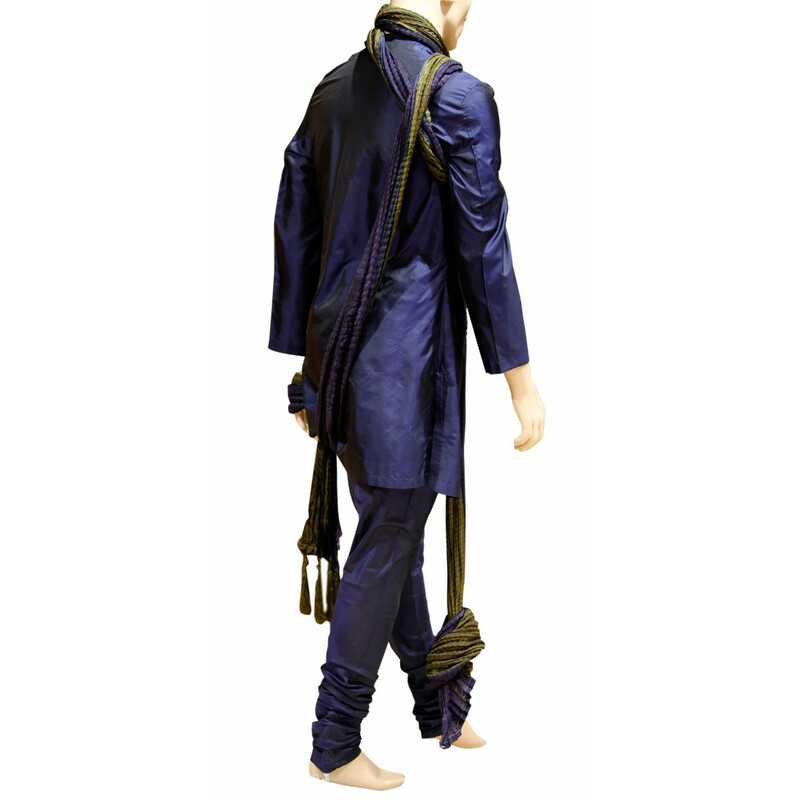 This attire is enhanced with a golden patti like patch at the front end from top to bottom. 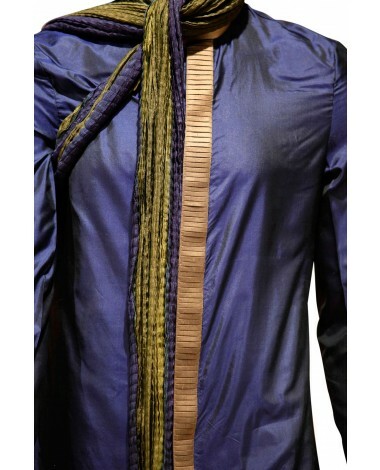 Comes along with an art silk churidar in blue.